4912 165BrI 40 Pfg. Official stamps 1942 with rare variety \"MARGINAL VALUE NUMBER 46 in lieu of 36\" in the vertical pair, unfolded and without signs, in perfect condition mint never hinged Michel 850,- €. 5009 ✉ PP122E1/1-16 3 Pfg. 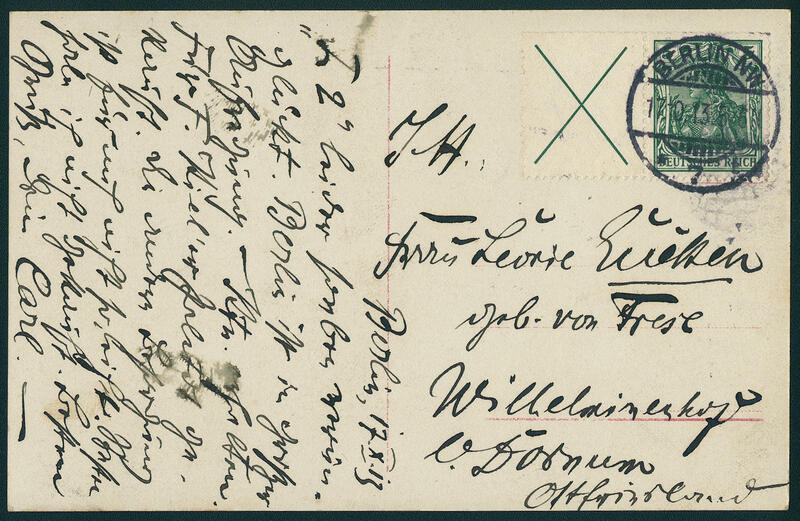 Hindenburg medallion, 16 private postal stationery \"old German postilions and postman\", the complete set from 16 private postal stationery, in perfect condition unused. The edition amounts at a max 60 sets! 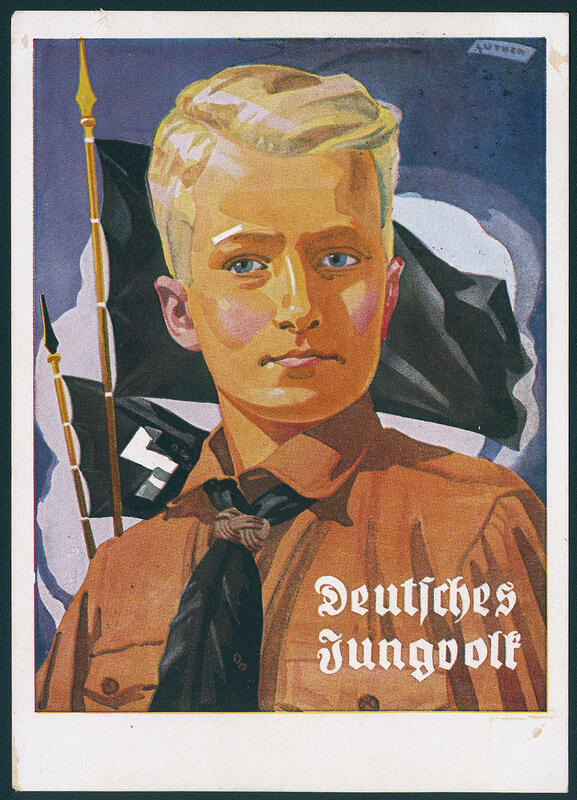 4992 ✉ \"German young people\", very scarce colored propaganda card genuine postally used from \"Munich 9. OV. 35. 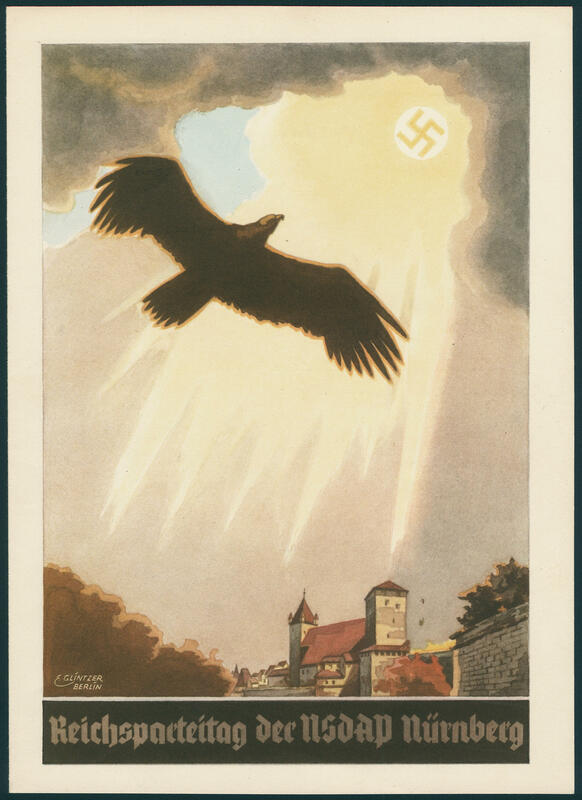 \" to Berlin. 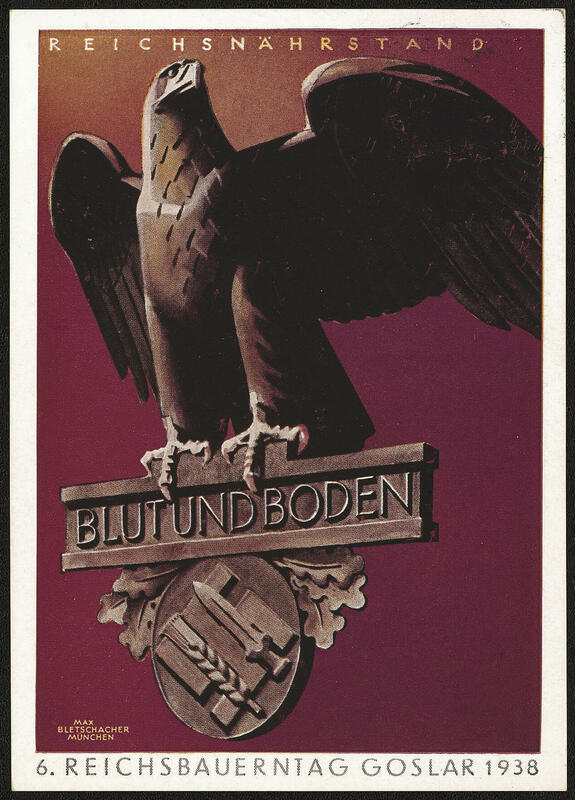 4993 ✉ \"German youth notifies be voluntary to the armament SS\", very scarce propaganda card, published from SS main office / supplementary office the armament SS, unused. 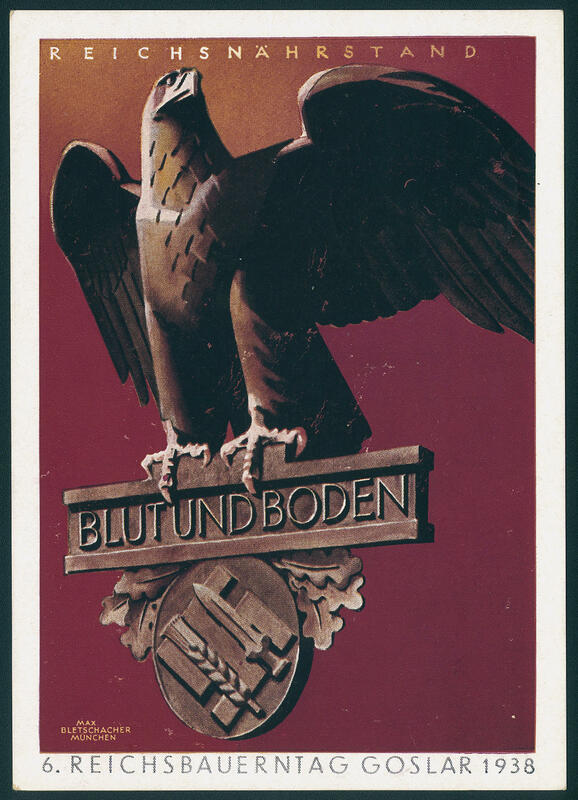 4994 ✉ \"empire competition of the SA BERLIN 15.-17. 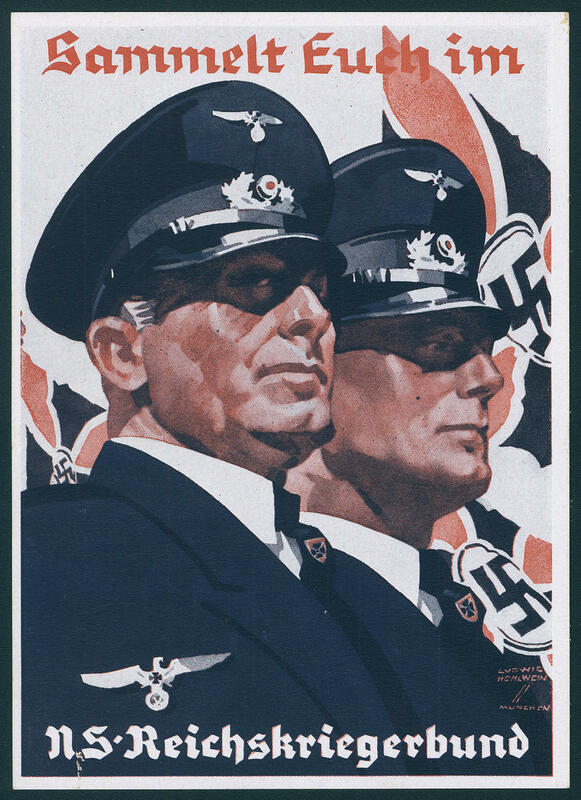 July 1938\", the complete set the six colored propaganda cards, published by the Colonel SA Leadership, unused in the corresponding fold booklet. As complete set rare! 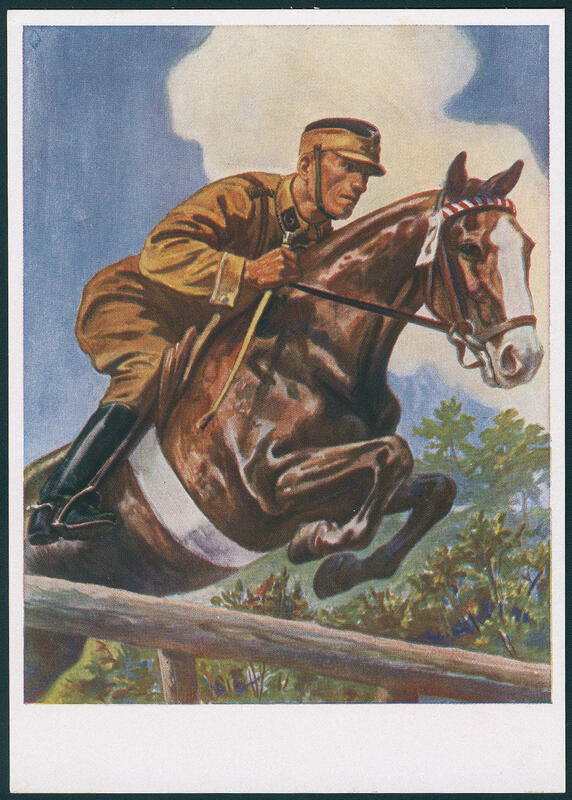 4995 ✉ Young steel helmet, scarce colored propaganda card with lyrics, unused, slight traces. 4996 ✉ 6. 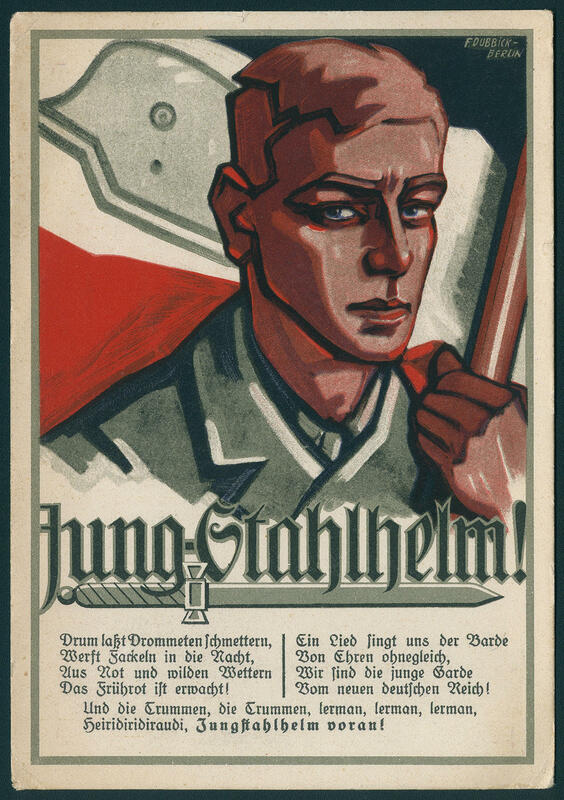 Reich farmers day Goslar 1938, Reich nutritional profession, blood and soil, scarce colored propaganda card with appropriate special cancellation \"GOSLAR 26.11.38. \". 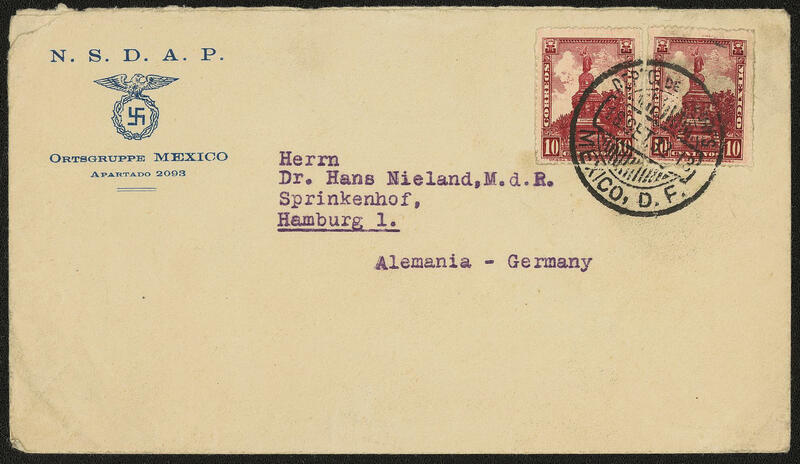 4997 ✉ Mexico, 10 C. (2) on cover from \"Mexico 18. SET. 32. \" with impression \"N. S. D. A. P. Chapter Mexico\" to Hamburg. Very rare! 4998 ✉ \"blood and soil 6. 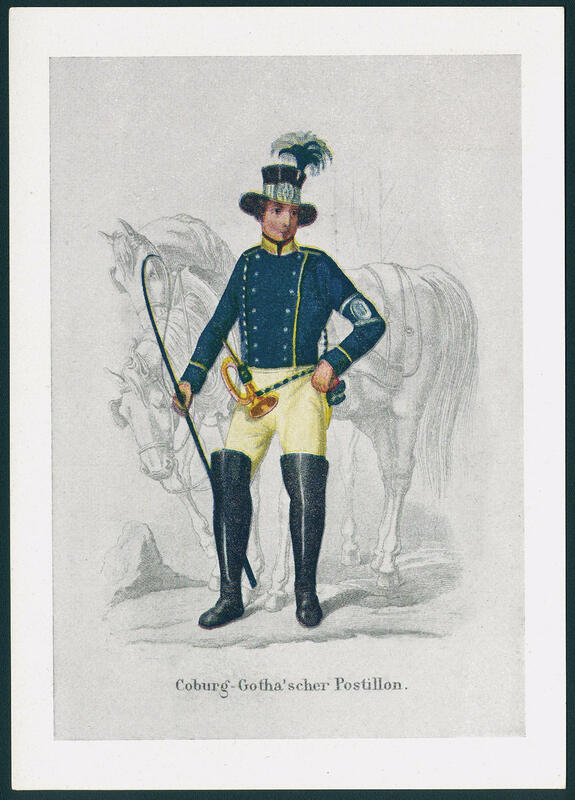 Reich farmers day GOSLAR 1938\", scarce colored propaganda card with 6 Pfg. 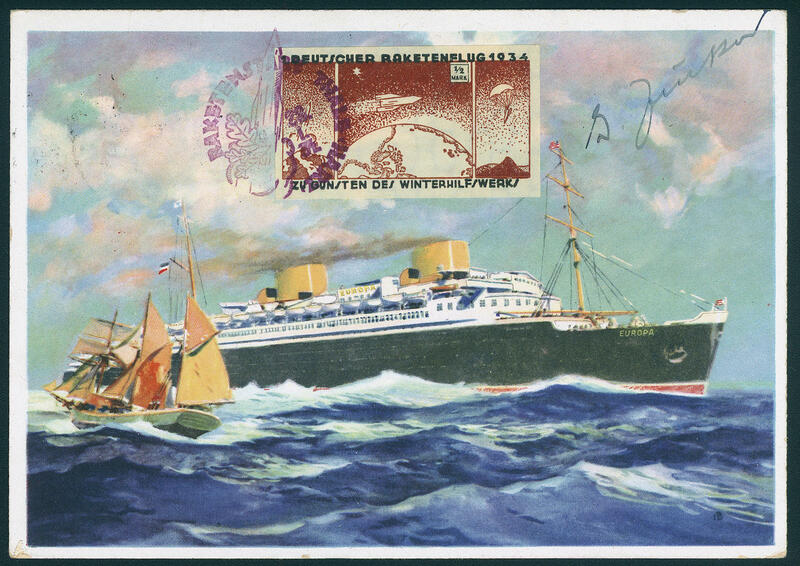 Hindenburg and appropriate special cancel. 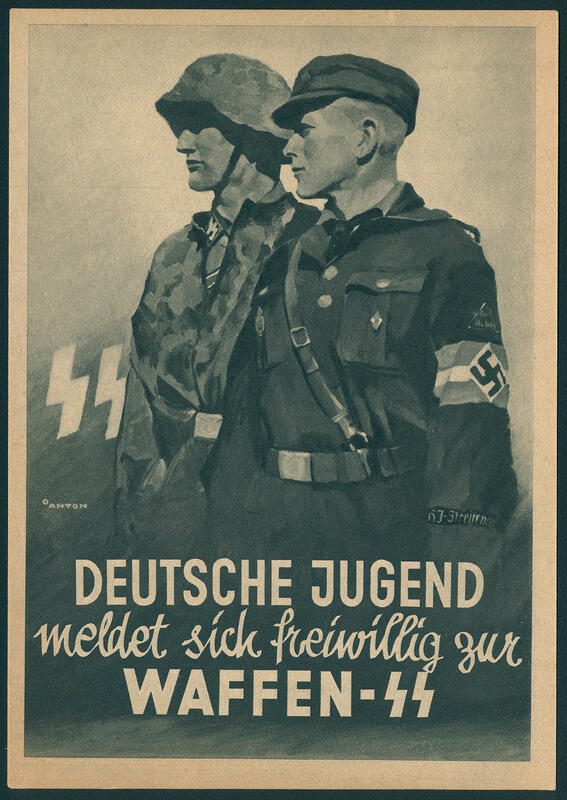 4999 ✉ \"treasures you in the NS Reich warrior's society\", colored propaganda card, unused. Rare! 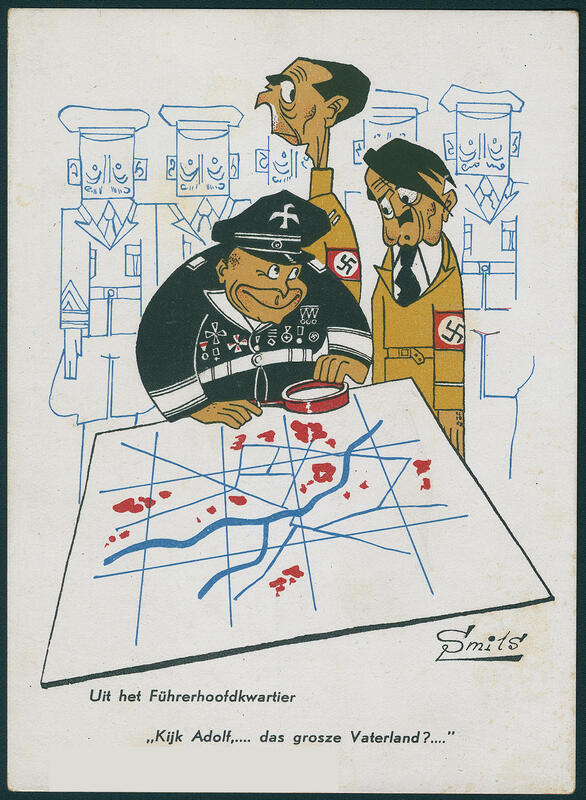 5000 ✉ Two interesting propaganda cards from France respectively from the Netherlands, the against the third Reich arranged samples, as well Goering as monkey. 5001 telegram Nazi Party Congress of the NSDAP Nuremberg 1934, the scarce decorative sheet telegram, used, in perfect condition. 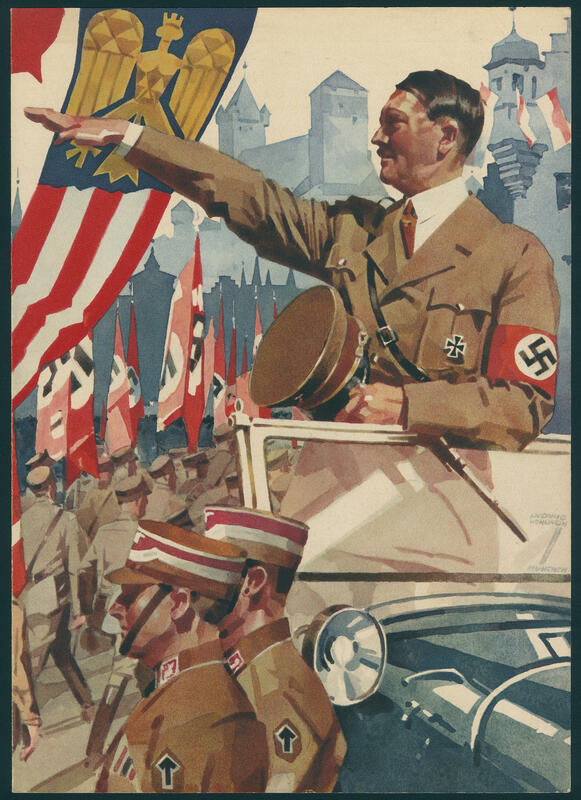 5002 telegram Hitler greeting in his carriage, colored decorative sheet telegram, designed by Ludwig Hollow wine / Munich, in perfect condition unused. 5034 ✉ 5C1 Through amendments to the light, green special confirmation stamp on very nice rocket postcard with se-tenant Wagner 6-4 Pfg. 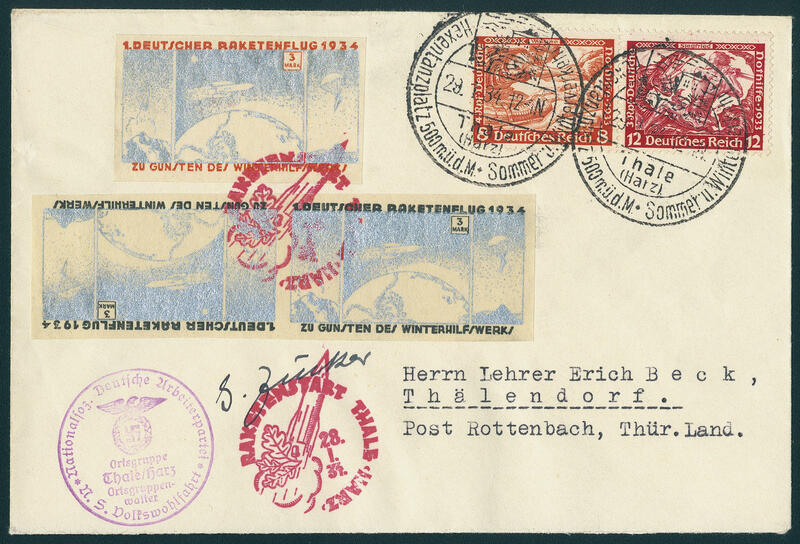 Horizontal, from \"HASSELFELDE 10.11.33\" to Thälendorf with signatur of the rocket pioneer sugar. Besides carries the cover three cut rocket post stamps, with also the color variety in red-brown. Edition according to Ellington / Zwisler only 20 pieces. 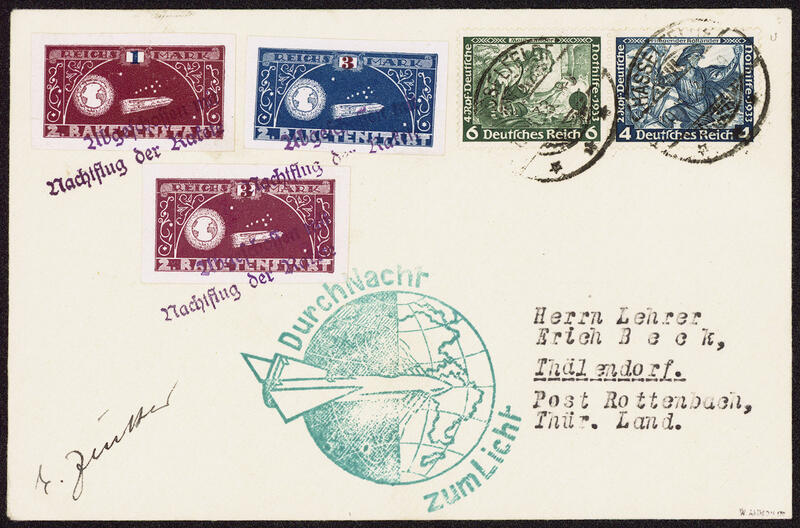 5035 ✉ A5/7 Rocket post 1934, all three unperforated rocket post vignettes including the rarely printing error 3 Mk. Red-brown (according to Ellington-Zwisler only twenty times have become known) on nice rocket postcard with 6 Pfg. Wagner. Very rare! 5036 ✉ 6A1b 1 / 2 Mk. 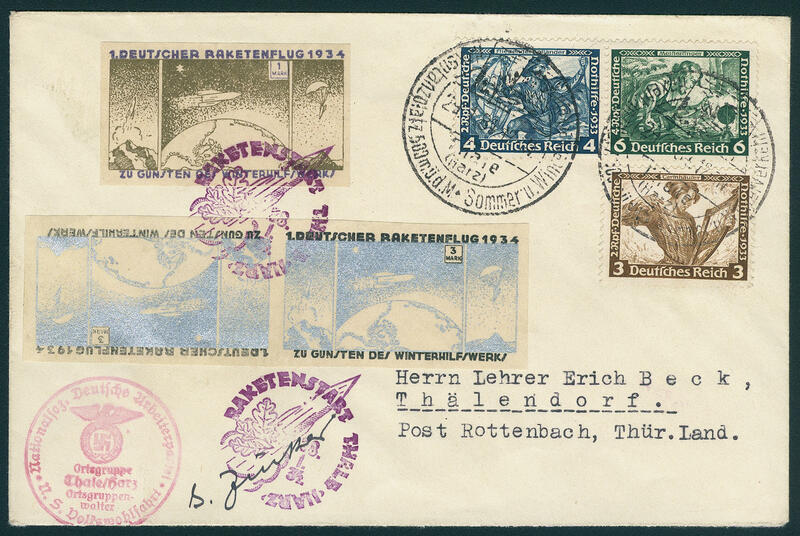 Rocket mail vignette 1934 unperforated, the scarce color variety \"brown and black in lieu of brown and blue\" with on the back additional franking on wonderful rocket postcard, with signatur of Mister sugar and all postmarks. From the color variety are according to Ellington-Zwisler only eight piece have become known. A rarity! 5037 ✉ 6A2a 1 Mk. Rocket mail vignette 1934 unperforated, the scarce color variety \"olive and violet in lieu of olive and red\" with tête-bêche pair 3 Mk. 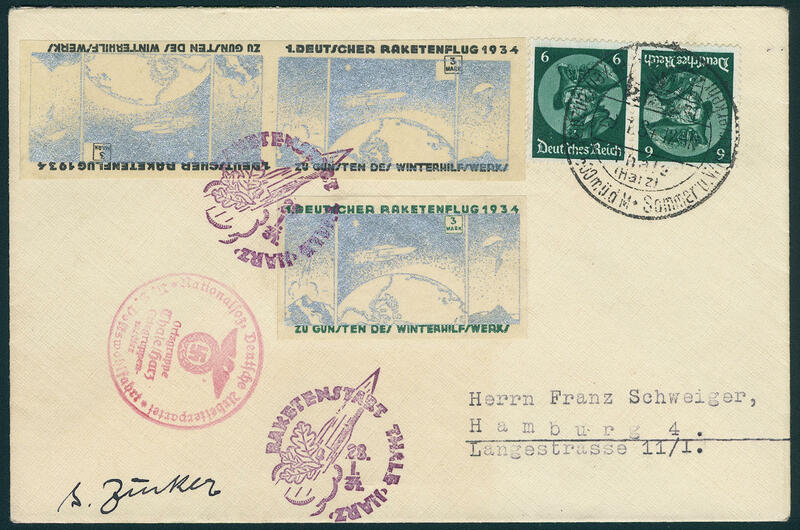 And Wagner franking on very nice rocket mail letter. From the color variety are according to Ellington-Zwisler only eight piece have become known. A rarity! 5038 ✉ 6A3a 3 Mk. Rocket mail vignette 1934 unperforated, rare color variety \"silver and green in lieu of silver and black\" with tête-bêche pair in the normal colour, however with strong shifted black print (very rare! ) and tête-bêche pair 6 Pfg. 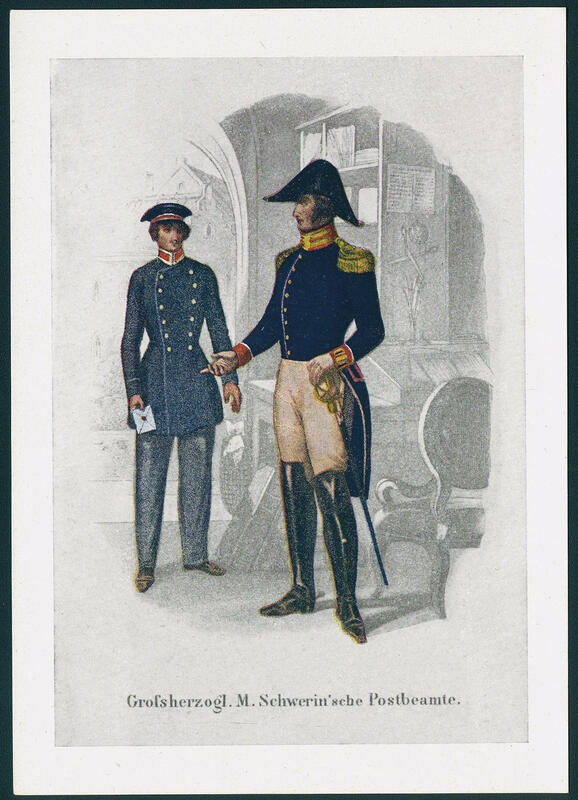 Frederick the Great on very nice rocket mail letter to Hamburg. According to Ellington-Zwisler are from the color variety only eight piece have become known. In this combination with the moved printing a rarity! 5039 ✉ 6A3b 3 Mk. 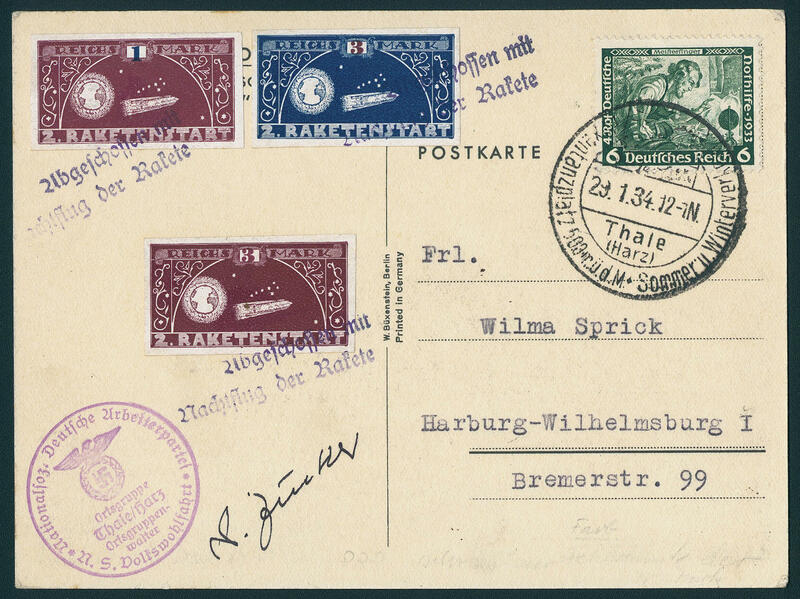 Rocket mail vignette 1934 unperforated, the scarce color variety \"silver and red in lieu of silver and black\" with tête-bêche pair in the normal colour and Wagner se-tenant on very nice rocket mail letter. From the color variety are according to Ellington-Zwisler only eight piece have become known. A rarity! 4981 ✉ W1.1 St. Andrews cross - 5 Pfg. 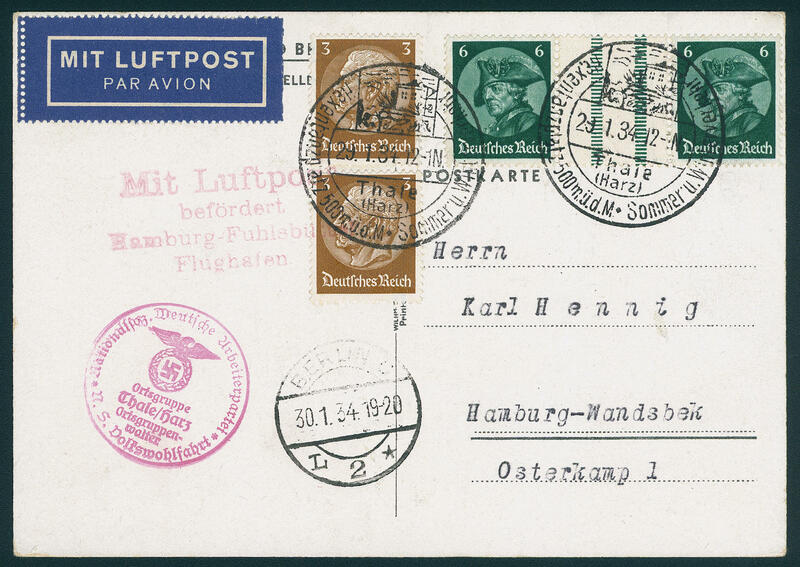 Germania, horizontal se-tenant, fresh colors and in perfect condition as correctly franked single franking on Zeppelin picture postcard \"airfield JOHANNISTHAL the new Empire navy airship L. II\" with neat postmark \"BERLIN 17.10.13. 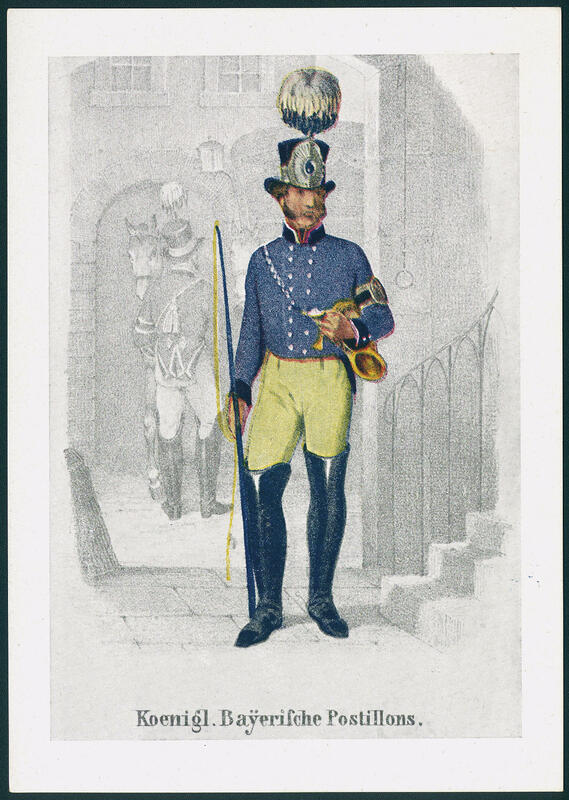 \" to Wilhelminenhof. A very fine example! Michel 700,- €.